But from the moment he sets foot on Irish soil, the author embarks on an unexpected odyssey. Meet congenial IRA terrorists, tippling men of the cloth impish playwrights, and the boyos at Heeber Finn's pub. 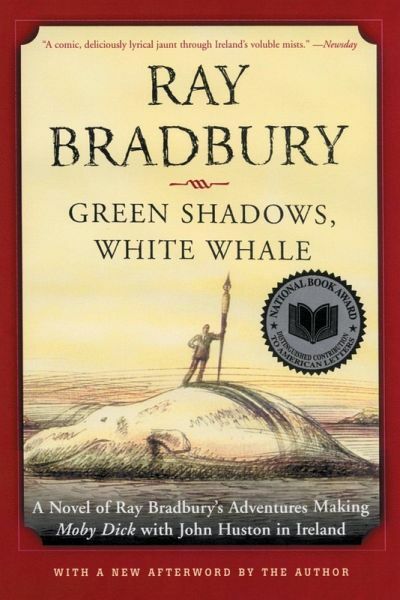 In a land where myth is reality, poetry is plentiful, and life's misfortunes are always cause for celebration, Green Shadows, White Whale is the grandest tour of Ireland you'll ever experience -- with the irrepressible Ray Bradbury as your enthusiastic guide. Ray Bradbury, am 22. August 1920 in Waukegan, Illinois geboren, schieb neben Romanen und Erzählungen Gedichte, Essays und Filmscripts; etliche seiner Werke wurden verfilmt. Sein Werk wurde mit dem National Book Award ausgezeichnet. 2007 erhielt Ray Bradbury im Rahmen der Pulitzer-Preis-Verleihung eine besondere Ehrung für sein Lebenswerk. Ray Bradbury starb am 5. Juni 2012 in Los Angeles.